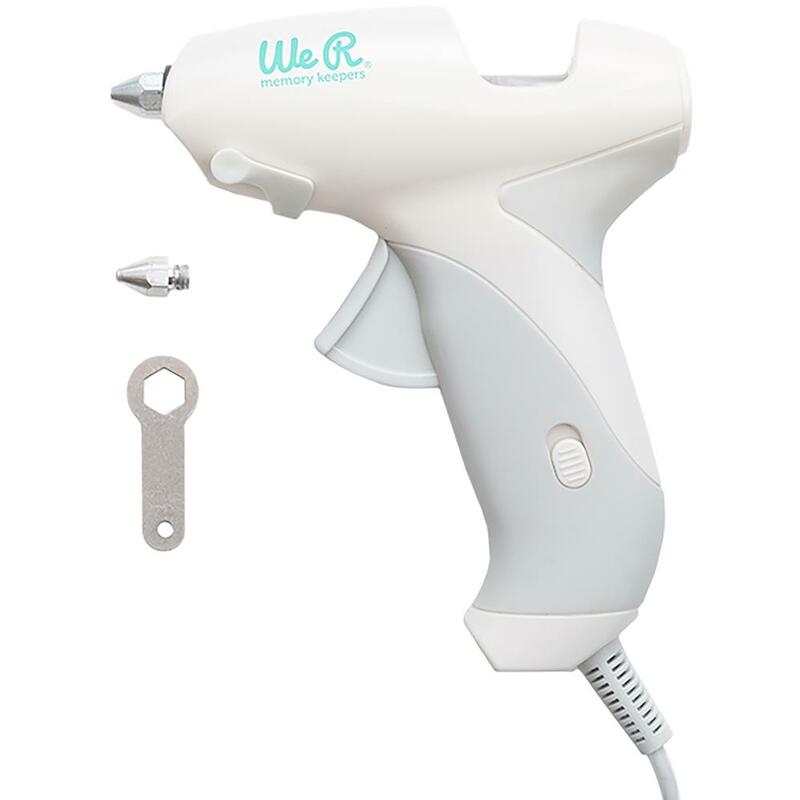 The We R Memory Keepers mini glue gun kit is perfect for any crafting project. It includes two tips: use the detail tip for thin glue lines and the standard tip for larger gluing jobs. 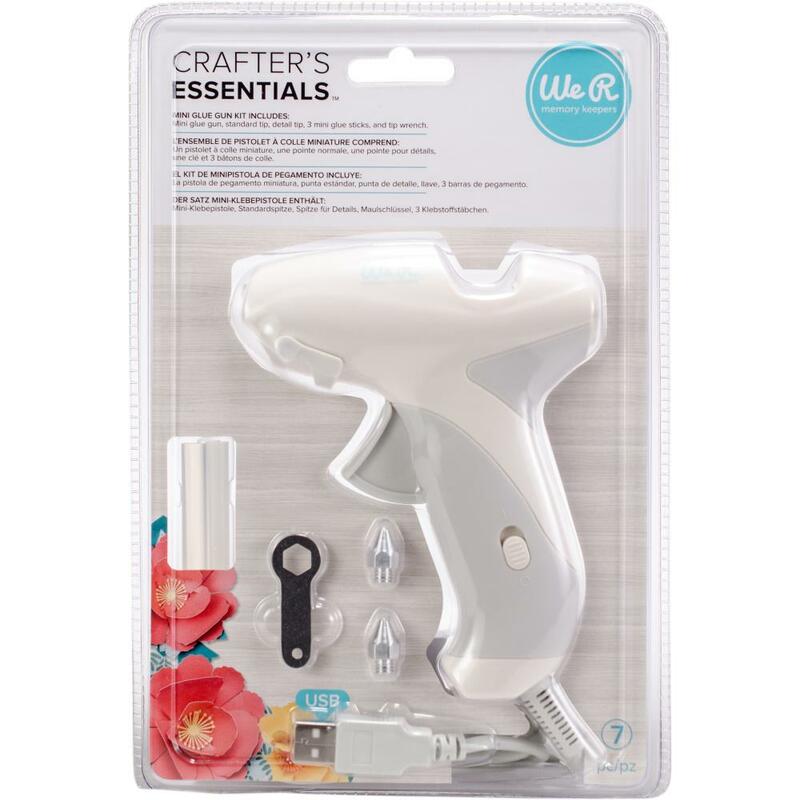 Pair with the We R Memory Keepers Power Bank (660252) for crafting on the go. 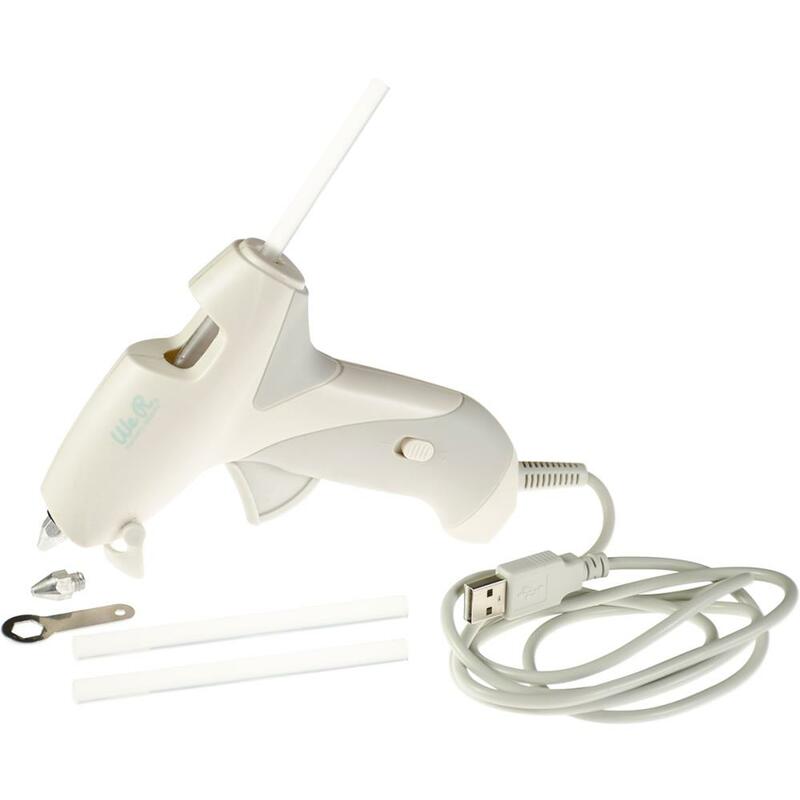 Package size: 6.5x9x1.75; includes one 5.625x4.25x1.25 inch glue gun with 49 inch USB cord, two tips, small wrench for tips, and three glue sticks.